At The Crate Hire Company, we offer an unrivalled service with our plastic crate rental. Unlike many other crate hire companies, we deliver our own crates with our own vehicles, with our own DBS checked drivers. There is no 3rd party, so your orders will be handled by us & any queries we can answer straight away. Delivering nationwide, we can deliver next day to you or even a timed delivery/collection if needed. We understand the stress that moving home, or relocating your business can cause, so we eliminate the stress by ensuring we deliver the right item, on time, every time. 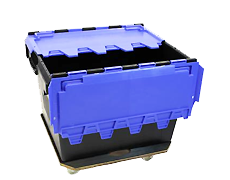 Our plastic hire crates will arrive to you clean, nested and ready to be used straight away. The Crate Hire Company provide a large range of storage crates to help make your move effortless, you can view our large range of rental crates. We also can provide handling equipment to make your move easier. 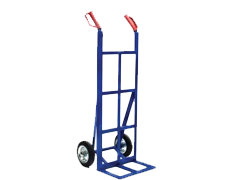 These can help you transport the crates when they are full, if needed – they can also help you move them up & down stairs if required, you can view our range of handling equipment. Crate Hire Company don't only provide the plastic crate hire; we can provide removal boxes & packaging materials to help with your move. These items aren’t for hire; they are a sale item. We supply Archive Boxes, which allow you to store your archive documents whether you're moving office or just looking to neatly store your documents. We also provide a large range of packaging materials, which can be used to protect your items throughout your removal, or to securely close your hire crate. Crate Hire Company also offer a large range of removal boxes. Our removal boxes are double walled, so they are solid meaning you can store many items inside, they are also recyclable. 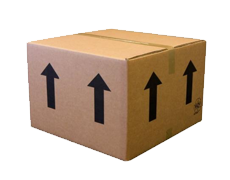 View our boxes & packaging materials. The Crate Hire Company has depots in Essex/London, Runcorn/Manchester & Livingston/Edinburgh. This means we can offer a nationwide service but also means you can come to collect from our depots if you wish to save on the journey charges. Our depots are only owned by us, meaning there won’t be any confusion when you come to collect your crate hire.